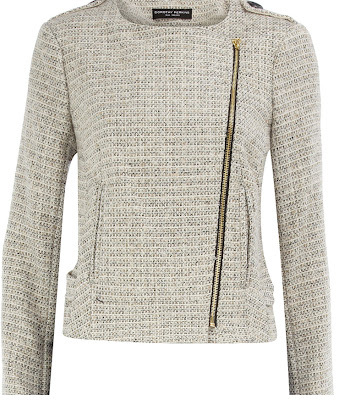 A biker jacket rendered in boucle fabric is counter-intuitive--and totally amazing. Considering all the oversize jackets on the fall 2012 runways, I'd go one size up in this one. That way I can pack some serious layers underneath it and wear it into the ground.